What is a manifesto, anyway? 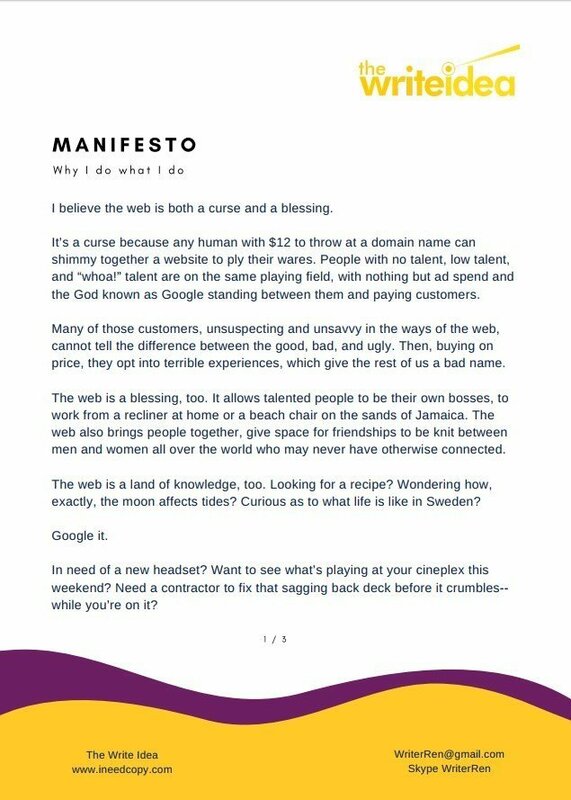 Click the image below to download a pdf version of my manifesto. If, after reading it, you feel inspired or moved or ready to hire me to help you write your own manifesto (! ), please let me know.